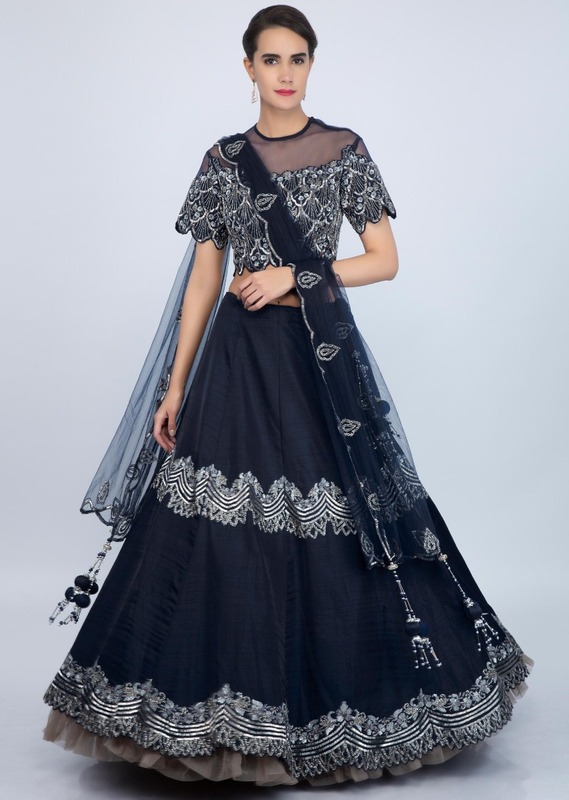 Mid night blue raw silk lehenga with scallop embroidery . 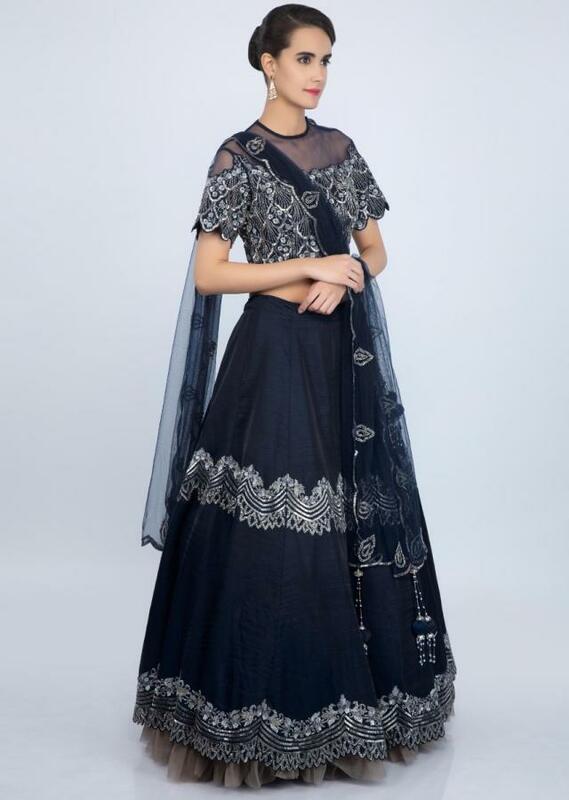 Embellished in cut dana , sequins, moti, zardosi and kundan embroidery . 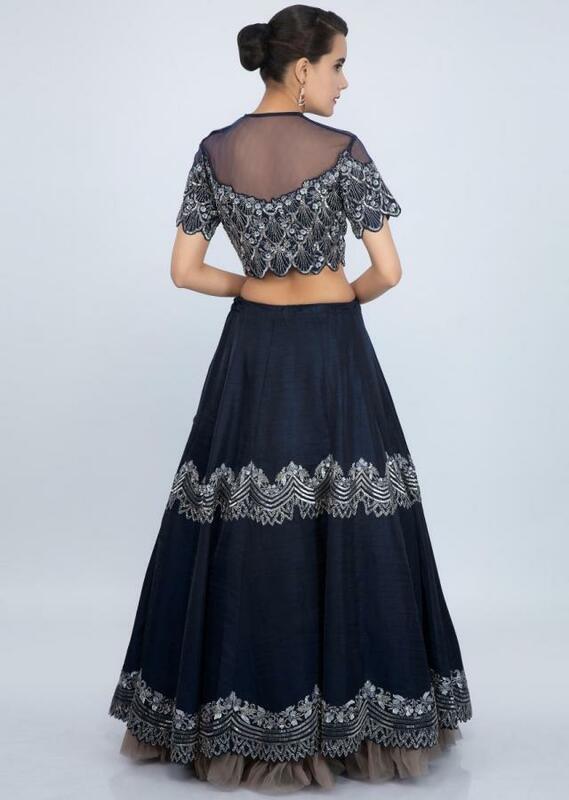 Its comes with a matching silk blouse with sheer net back and yoke . 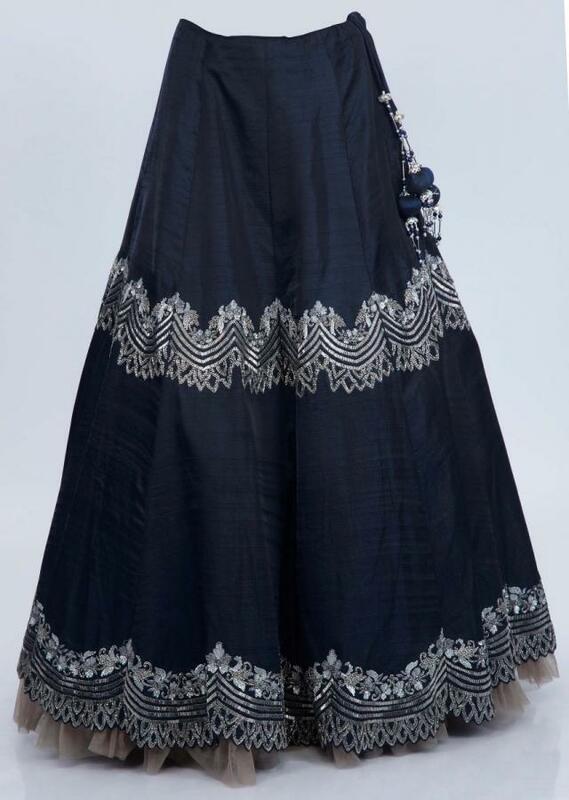 Beautified with cut dana , sequins, moti, zardosi and kundan jaal embroidery in scallop motif.